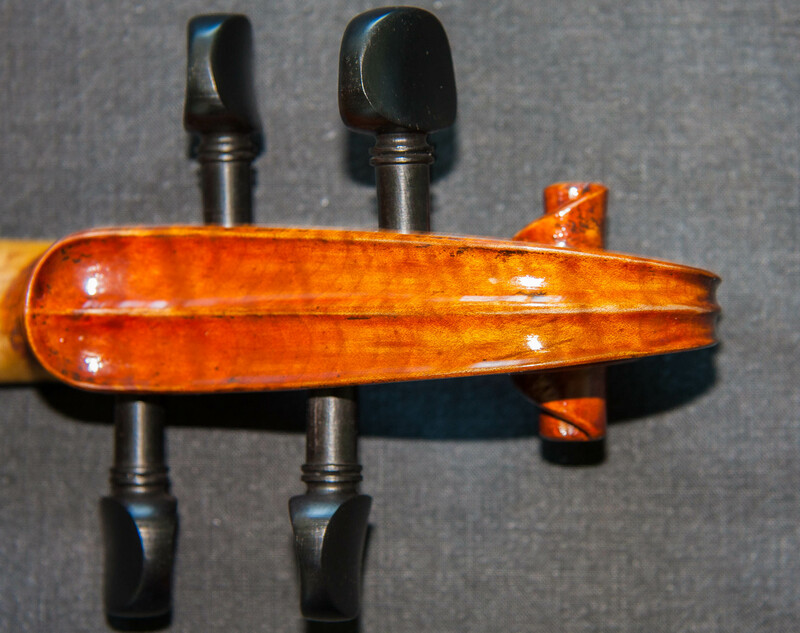 This is a stand out new violin, as soon as I put a set of strings on and put the bow on them I knew it was something special, with outstanding clarity and tonal characteristics that immediately set it apart. Out of all the violins that a maker produces, just occasionally everything lines up to perfection to create a violin like this one that just stands out from all their other output. 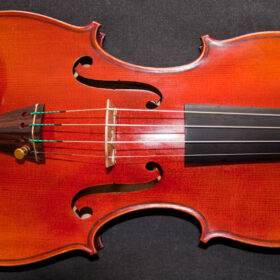 This is a rare opportunity to acquire one of these violins. Carefully modelled on the famous Lord Wilton violin of 1742 Guarneri del Gesu violin which was famously played by the great Yehudi Menuhin between 1978 and his death in 1999, and now resides in the collection of David L. Fulton in the US. 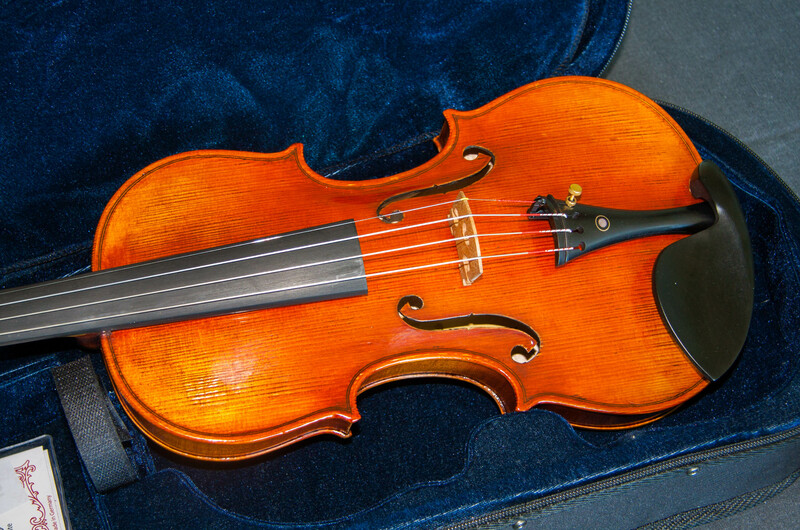 SKU: MG19002 Categories: New Violins, Violins. 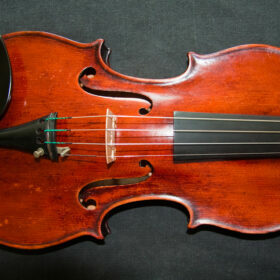 Tags: del Gesu, Guarneri, Guarneri del Gesu, Guarneri model, Lord Wilton violin, new violin, violin. 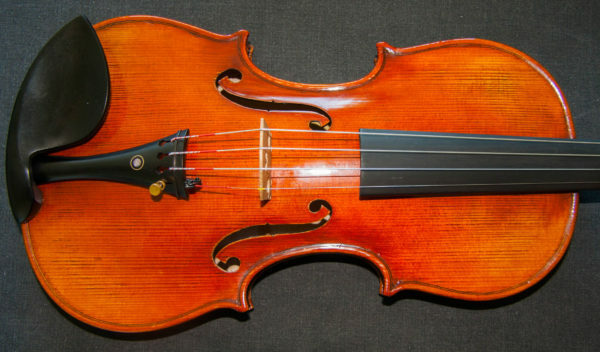 This new violin has an exquisite tone already which just makes it shine out from similarly priced violins from the first touch of the bow on the strings. It has an astounding strong, clear tone and precise diction, all of which gives it excellent projection. 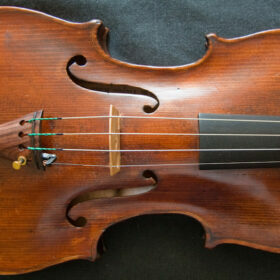 It is already so responsive you would not take it for a raw, new violin. Then when you consider that the sound is only going to improve as it matures and opens up, you are going to get a stunning sounding violin for a very long time to come. 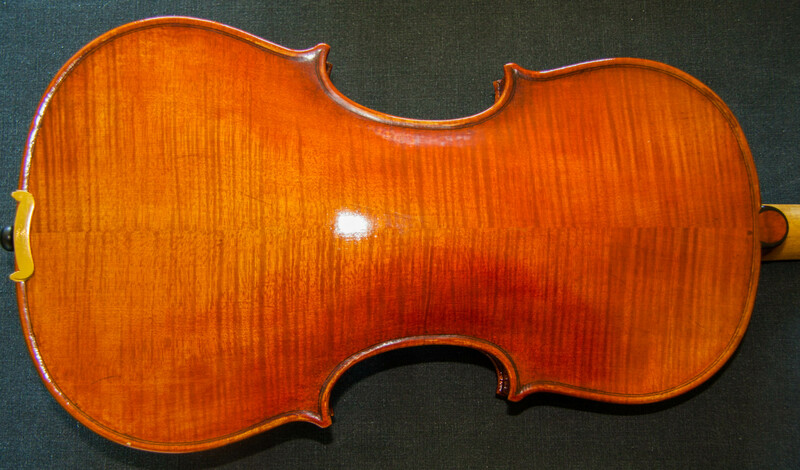 It is finished in a lightly antiqued oil/spirit varnish, as used by the great violinmakers of Cremona. 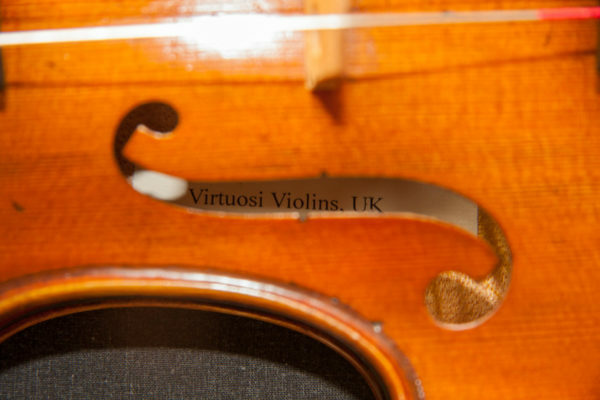 This violin has been carefully modelled on the famous ‘Lord Wilton’ Guarneri del Gesu 1742 violin, as played by Yehudi Menuhin for the last 21 years of his life, and features the distinctive strong f-hole and scroll style which was a distinguishing feature of del Gesu’s instruments. 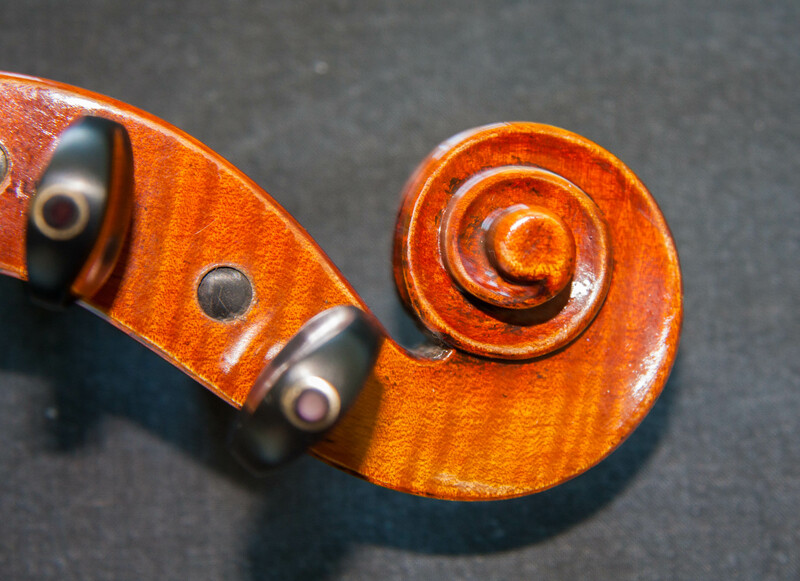 This is a beautiful violin made with high quality spruce and maple, which has been air dried for over 12 years, and finished in a nicely antiqued varnish. The tone is already unbelievable for a new violin and after a few months playing you will have a totally classy and distinctive sounding instrument. 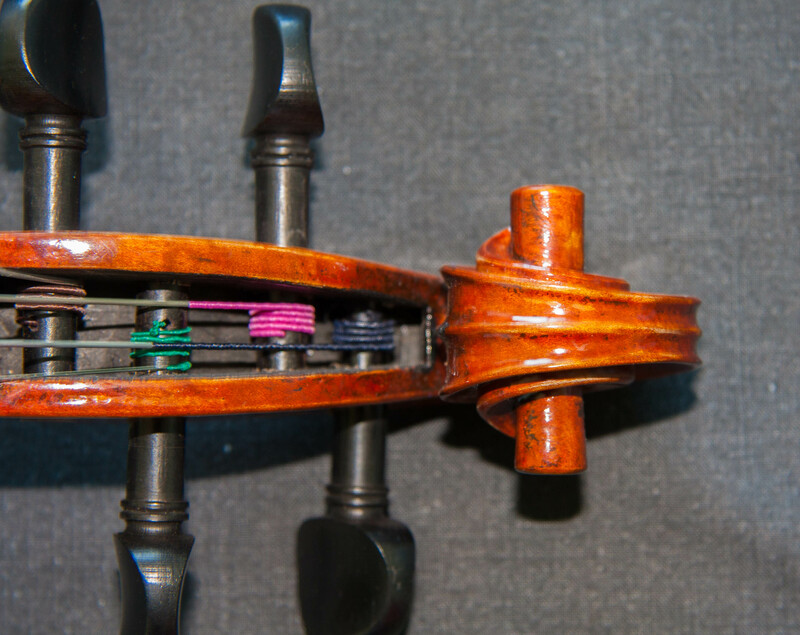 This violin is so good that it immediately commands the highest quality strings and we offer you the choice of Larsons Il Canonne or Pirastro Evah Pirazzi strings, just let us know HERE which you would prefer. 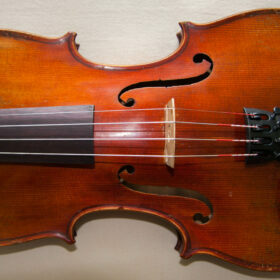 The instrument upon which this violin is modelled is the Guarneri del Gesu of 1742 that was once owned by the famous world famous American born violinist, conductor pedagogue who was widely regarded as one of the finest soloists of the 20th Century (and there is a documentary about him entitled ‘Violin of the Century’). Menuhin founded music schools in London, Switzerland and California, with his most notable students including Nigel Kennedy and Nicola Benedetti. He also co-founded the Yehudi Menuhin Competition for Young Violinists, whose stand out winners include Tasmin Little, Julia Fischer and Ray Chen. Yehudi Menuhin is renowned for his cross cultural, cross genre collaborations with those most well publicized being his work with Indian musician Ravi Shankar and Gypsy Jazz violinist Stephan Grapelli – although he has publicly admitted that he never quite mastered or became comfortable with improvisation. 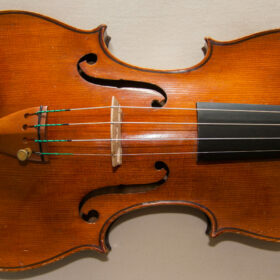 Yehudi Menuhin acquired the ‘Lord Wilton’ in 1978 and kept it until his death at the age of 83, after which it was sold for a then world record price of US$6 million to David Fulton and it has remained in his collection since then. 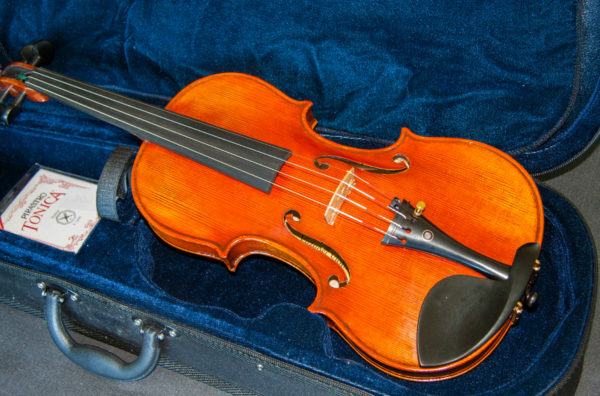 The violin takes its name from its first known owner of the instrument, in the 19th Century, the 4th Earl of Wilton, Seymour Egerton. He was a musician and friend of composer Arthur Sullivan, of Gilbert and Sullivan fame. 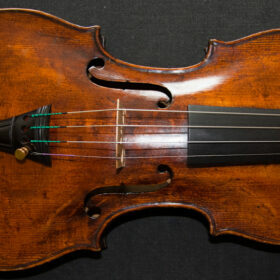 It was also owned from 1952 – 61 by Croatian violinist Zlatko Baloković, but the violin he was most associated with was ‘The King’ Guarneri of 1735, which resides in his honour at the Croatian Academy of Sciences and the Arts in Zagreb.